Adventure is waiting to happen! Before Jack and Annie can find out, the mysterious tree house whisks them back to the prehistoric past. Now they have to figure out how to get home. Can they do it before dark...or will they become a dinosaur's dinner? Used with permission from Random House. For more fun facts behind the fiction, don't miss the Magic Tree House Research Guides! 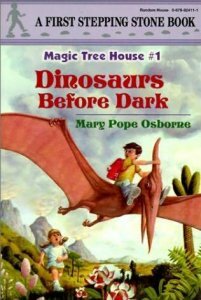 The Research Guides provide information about the times, places, and cultures Jack and Annie visit on their Magic Tree House adventures. 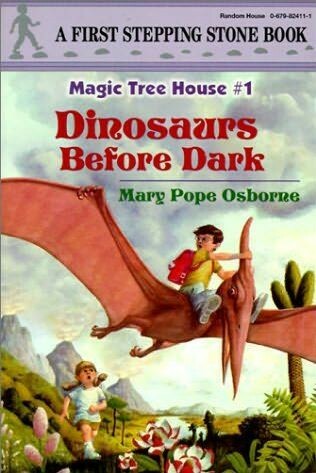 For this title, see: Magic Tree House Research Guide #1: Dinosaurs.